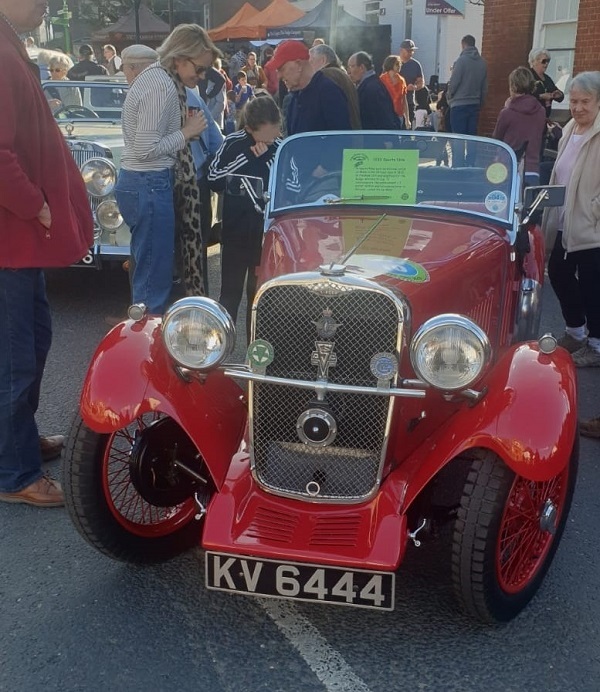 A friend of the SAHB, knowing of our love of old cars of all ages, has just sent us a stack of pictures from last weekend’s Horsham District Tour. 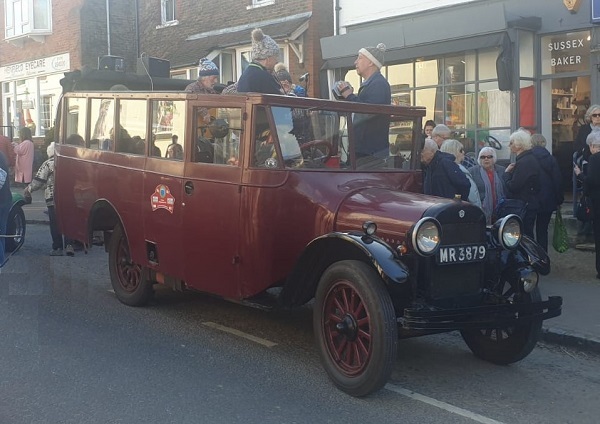 Henfield Community Partnership organised this year’s tour around the villages of West Sussex to celebrate its Year of Culture. 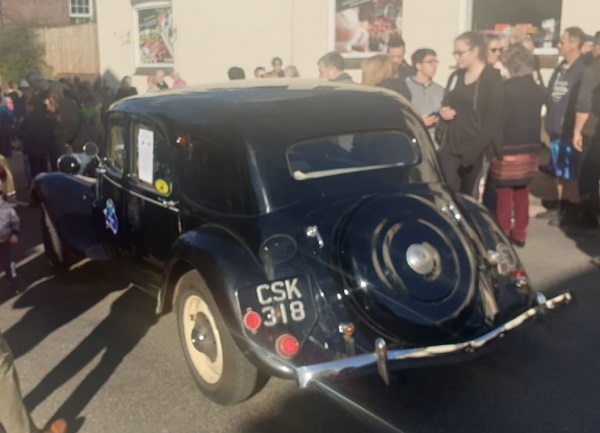 Local car clubs and motoring organisations provided eight supercars, eight American cars, eight air-cooled cars and many other interesting cars. 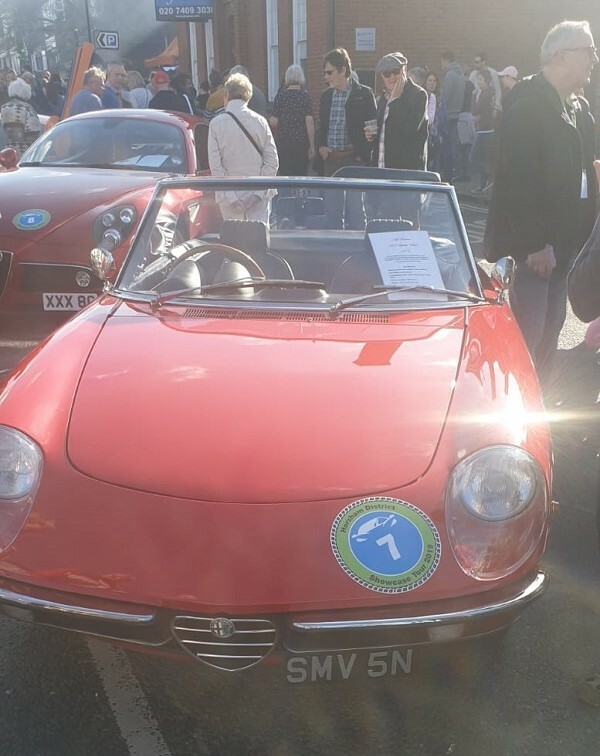 Judging by the pictures, hundreds of people attended, and our friend had great difficulty in getting close to the cars. So the pictures were all snapped in the few milliseconds when the crowd parted enough for most of each car to be seen. For your interest and enjoyment, here is an extract of the best pictures from that lovely sunny day in West Sussex. We have done our best to identify each of the cars we show, but please let us know if we’ve got any of them wrong. Thank you for looking. Please send us your comments through the website. 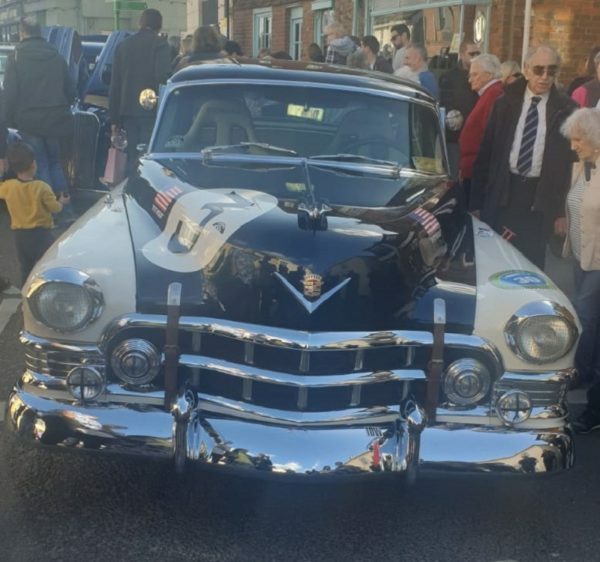 The 1950 Cadillac is-unless the original is on loan from the Revs Institute-a recreation of the car entered in the 1950 Le Mans race by Briggs Cunningham. Essentially stock, it was driven by Miles and Sam Colliers, and finished tenth, averaging just eight mph below the winner.